Offers a true escape for ultimate beach life luxury. The private seclusion and pristine beach front of PRANBURI are only 15 minutes drive from HUA HIN beach. 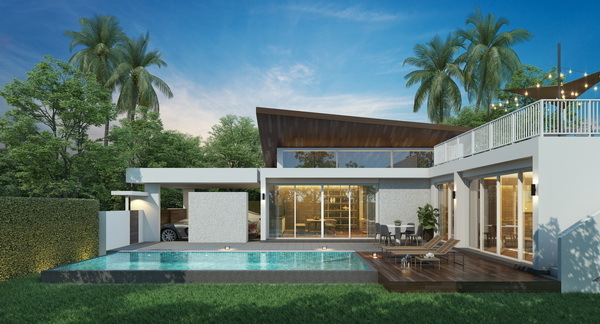 Acclaimed for remarkably stunning architectural design, each villa includes spacious living areas and a private swimming pool for unbridled relaxation. Warm sea breezes and extended coastal horizons inspire, revitalize and offer new life perspectives at PRAN A LUXE Private Residences. 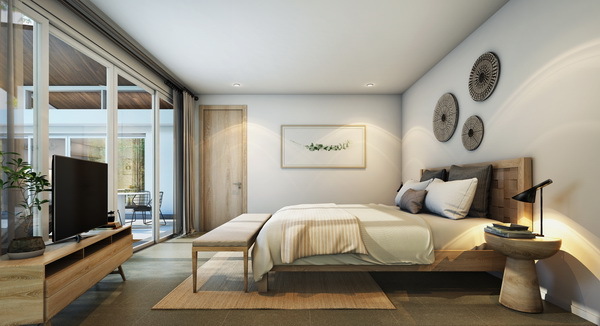 PRAN A LUXE Private Residences offer a selection of six different styles for your contemporary pool villa, ranging from two to four bedrooms. A usable living space of 175 to 680 sq.m. is wrapped in a unique tropical architectural style. The creative “sea wave” design for the roof presents a unique silhouette with a double-curved floating structure in solid hardwood. 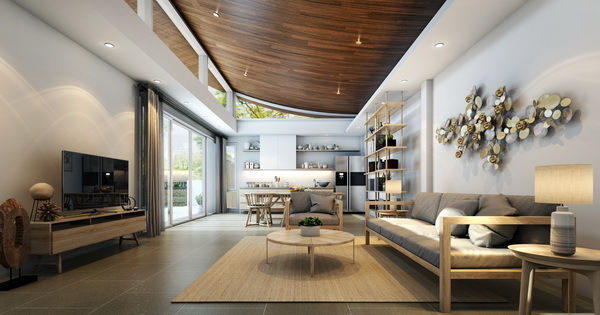 Let the natural light stream into the interior space, while large sliding doors invite the nature in. each villa enjoys its own private swimming pool with multiple decking surrounded by a tropical garden, adding the option for yet more water features. New design tropical modern architecture with rustic charm. The villa embraces pool and tropical garden. Multiple outdoor spaces including pool decks and large roof-top living space. Dramatic roof form in the living room of curved timber roof. Contemporary interior design with natural color palette. Simple, clean and airy interior space. Bespoke hardwood furniture by contemporary award winning Thai designer. 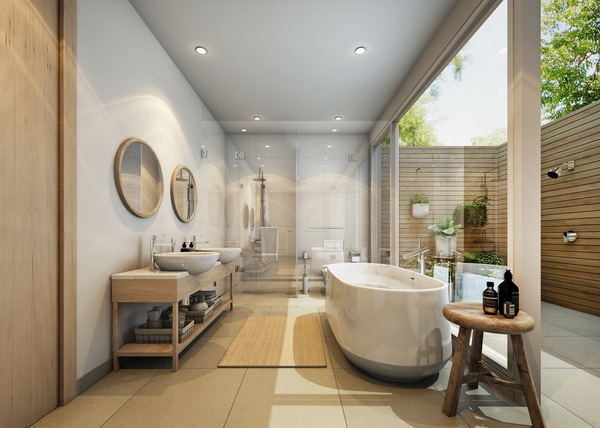 Large six-pieces master bathroom with indoor and outdoor space. Copyright 2017 Pran a Luxe All Right Reserved.